At GenCon 2016 last weekend, we were treated to an awesome surprise: a playable Super-Pre-Alpha demo of BATTLETECH. The Super-Pre-Alpha demo was playable by anyone attending the convention, and featured a single mission where your lance attempts to capture a salvage base. I had the opportunity to play it for a while and left feeling giddy and wanting more. It’s exciting to see the game in such a playable state just 9 months after the Kickstarter wrapped up. Afterward I stopped drooling over the game, I had a chance to chat with Jordan Weisman, creator of BattleTech (the table top game) and co-founder of Harebrained Schemes to talk about BATTLETECH. Nic Jansma (sarna.net): I spoke with Mitch Gitelman and Mike McCain of HBS last year here at GenCon 2015. Since then, Harebrained Studios raised $2.7m in an extremely successful Kickstarter. And only 9 months later, and you brought a playable demo to GenCon. That’s awesome! Your team has accomplished a lot. Jordan Weisman: We have! It’s exciting the way this development process has gone. Even before we launched the Kickstarter, we had been developing a prototype of the game. Prototype development took us all the way through to about two months ago. We had one engineer assigned to the prototype, which we were using to evolve all the play mechanics. We went through lots of different types of initiative systems, turn-orders, and all sorts of stuff. Experimenting through all of that. Simultaneously, the majority of the engineering team was working on the actual architecture that the real game would be built on. And about two months ago, we stopped development on the prototype because we had learned everything we could, and we were very confident of our gameplay mechanics. We started re-implementing all of that now, on the actual architecture. So what we’re seeing here is the actual game, not the prototype. This is what we consider the Super Pre-Alpha. To put that more in context, we consider about 70% of the core combat loop finished. Visuals are in the 80% range — it’ll get a little bit prettier, but it’s already damn pretty. Nic: Yeah, it looks awesome already! Jordan: But the key thing for us is to finish off the combat loop, would be things like melee (we had it mostly working, but it was too buggy so we didn’t bring it to the show), death from above, and charging. And then a lot of work on communication. Communication is actually the toughest thing in this game, because ‘Mechs are giant containers of information! They have all these weapons with all their ammo, armor, heat, critical components, the MechWarrior and his or her skills. It’s a huge amount of data! When we compare it to something like X-Com, which is a great tactical turn-based sim, that’s just a dude and his weapon! So much less information to communicate. We aspire to that level of accessibility, but we have so much more data. Nic: So you’re talking about working on how you communicate all of this data to the player? Jordan: Yes, communicating to the player. Because that’s the key thing – how do you keep all that information consumable as you go. Jordan: Exactly. That’s one of the reasons that direct translation of tabletop turn order doesn’t work. In tabletop, everyone moves, and then everyone fires simultaneously. You can roll those hits one at a time, which gives you the opportunity to absorb that information. In a computer game where all of the hits go BOOM all at once, it’s like, what the hell happened! And then it becomes reading a list of everyone’s hits to understand what happened. Nic: You don’t want to have to read a log to figure out what just happened to your ‘Mech. Jordan: So that’s one of the reasons that drove us to the initiative and turn order we’ve done here. But we still have a long way to go. For instance, criticals are still not being communicated well, and what happened to damaged locations — all of a sudden you can’t use a weapon any more? We don’t yet tie that to the fact that you got your arm blown off. That’s where we still have work to do with communication. I think the fact that people are playing it here so successfully tells us the “core” is good, and now we’ve got other things to go work on. Nic: You put a lot of time into building the pre-prototype, where you could play-test different options. I’m assuming that during that process, you were able to figure out what works and what doesn’t. Jordan: Yeah, things like movement — we spent a lot of iterations on how to do movement. It’s an interactive process. That’s the way the art form is. We’re about 70% done finishing the core combat loop. And then once that’s done, we can start building the ecosystems around it. There’s a whole other simulation layer of the economics of running a mercenary company that has to be built around this. And then finally, all of the different missions. So that’s why we have to lock this down. With our demo today, people are like “Oh you’re ready to ship!” Uh… no. No, we’re not. We have a year of content to build to make a campaign that’s deep and rich. Nic: And some of what I’m looking forward to most is that other simulation, the mercenary simulation — getting salvage, managing your unit and MechWarriors. Jordan: One, we have to build that, and two, there’s a lot of balancing we’ll have to work out. An economic sim is a delicate balance, especially when you’re doing an economic sim surrounding a combat system. There’s a lot of component balance that we have to work on. Nic: So in the last 9 months or so, you went from having a Kickstarter having a goal of $250,000 (c’mon, we all knew you would do better than that), to hitting all of the $2.5m stretch goals — including a complete single player campaign and online PvP combat. I’m assuming you’ve built up quite a bit of team to build all of this. 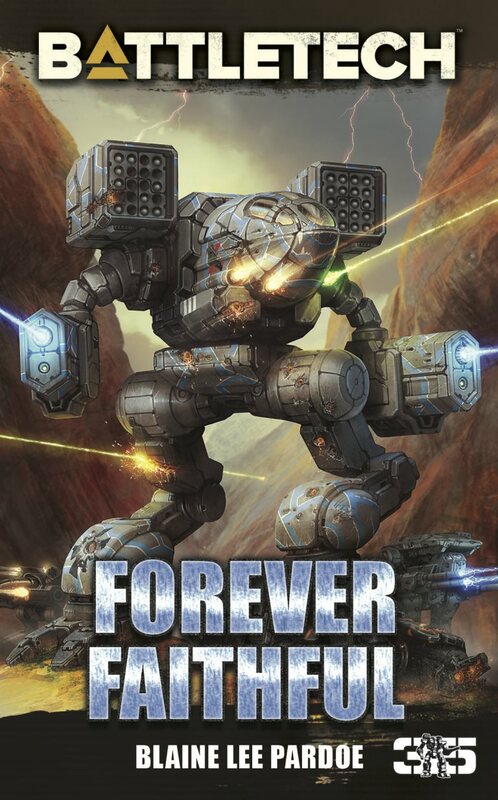 How many people will it take to make BATTLETECH, by the time you ship it? Jordan: Right now, the team is about 30 people, and will probably grow by another 5 or 6 people. So at peak, we’ll have around a 35 person team. We also have a large budget dedicated to work done out-of-house, i.e. contractors to work on art and various other things. Nic: Getting back to the game itself… I had the opportunity to play it yesterday — loving it! 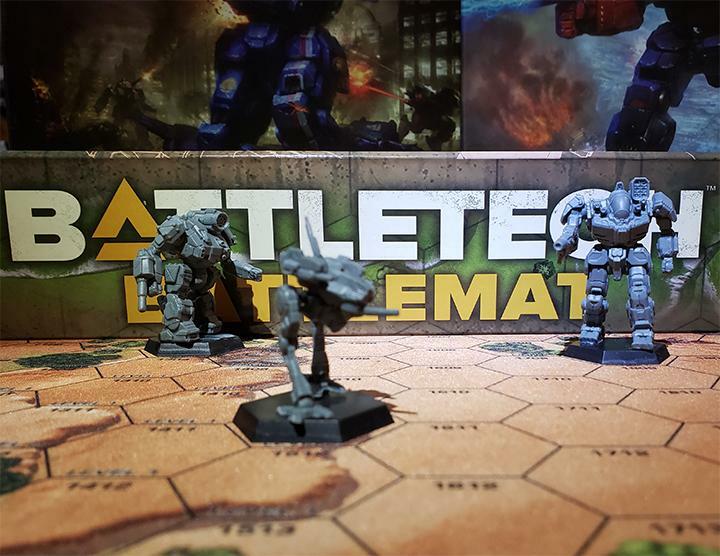 You’ve already touched on this a little bit, but let’s talk about how you balance making the table-top players happy (so it feels like BattleTech), while ensuring the game is playable in an interactive (and online) format. It seems like there’s a challenge to finding that right balance. You’re making a couple focused changes to things like the initiative system, but are there any other major differences a table-topper would notice in the sim? Jordan: The reason we discussed the initiative turn order early was we wanted the audience to consume that and get used to it. Because that’s frankly the biggest change that a tabletop player is going to see. Jordan: Thank you! I’m glad to hear that. What’s been great is hearing people’s reaction to it. When we posted it a couple months ago, most people thought it makes sense. And some people were really concerned about it. I get that, because at that point there was no way to try it. Now that people are trying it, I think they are seeing it works. I love the way the light and medium ‘Mechs become more useful tools. In the tabletop, you had to work really hard to find a good use for a light ‘Mech. Nic: With the initiative changes, you’re making light ‘Mechs more useful. 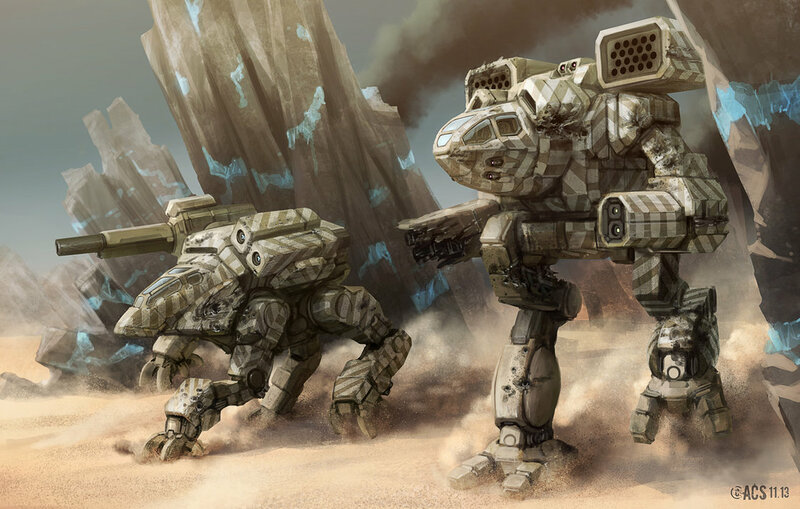 Jordan: If you’re playing tabletop with a double-blind system, a light scout ‘Mech might make sense. But most of us don’t have that opportunity, so they would just get squished. 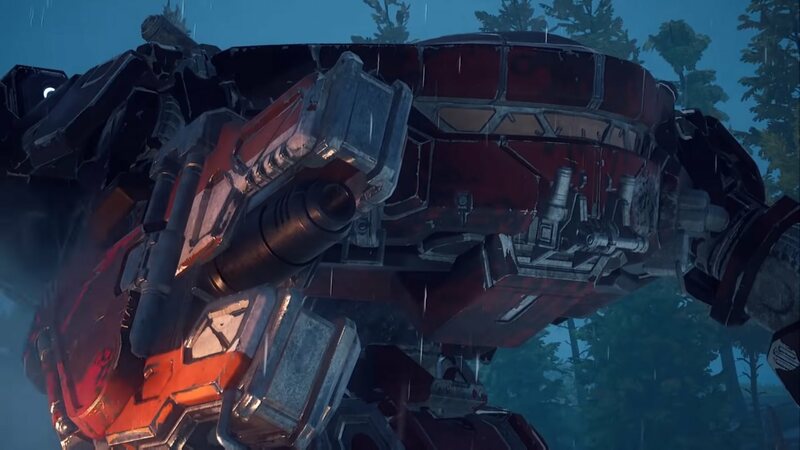 With this initiative system where light ‘Mechs have the flexibility of when to move, they can be effective both as scouts, and as flankers, which is really nice. In broad-stroke, from a combat standpoint, that’s the biggest change. Another one, smaller, is that all the to-hit numbers are in percentages instead of 2D6, just so people can get their head around chances easier. 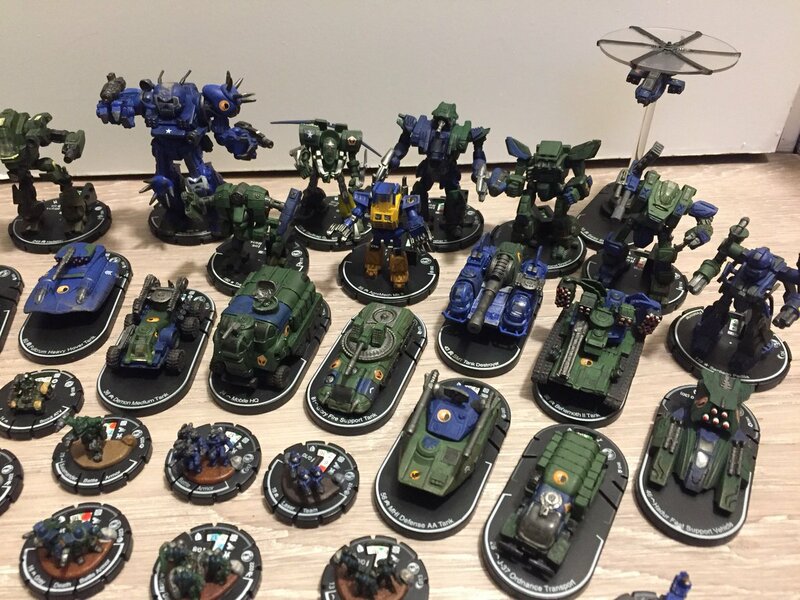 Nic: Coming from table-top, I knew how to use the ‘Mechs you let us play in the Super-Pre-Alpha, with their load outs in this terrain — there were some interesting opportunities to go flank around mountains and help direct LRMs from the heavier ‘Mechs. Speaking of that, the demo terrain was very impressive. We see mountains, nice lighting effects, even weather patterns. Will there be any destructive terrain, such as catching things on fire or anything like that? Jordan: Yes and no. Our goal is anything that’s man-made can be man-destroyed. You’re not moving mountains or digging out hills, or anything like that. Trees, as you saw, will split as you move through them. Our next goal is that when you hit them, they fall down. We’re also hopeful that we’re going to be able to have fire start and fire spread through forested areas and stuff. Nic: Via ‘Mech weapons, or on accident? Jordan: Both would be the goal. If you’re using a flamer, it’s going to happen. If you’re firing off a bunch of LRMS, there’s a percentage change that happens. Part of that will depend on the weather effects. We’re going to have rain, snow, ice-planets, water which can provide a cooling mechanism. So a lot of environments that we haven’t even started to touch on yet. Nic: You talked a while back about an goal of early 2017 for the game’s release. Since then, you’ve had a Kickstarter with stretch goals that added a lot of new features (i.e. PvP). Are you still aiming for 2017? Jordan: Yeah, we’re looking at the game releasing about a year from now. So that’s something we’re going to talk about when we go home — the potential of doing a Steam Early Access release that might have skirmish mode by itself before the campaign. The beta, for Kickstarter backers, is going to be this winter. Nic: I’ll look forward to that for sure! You just posted a post-Kickstarter way of pre-ordering the game as well. Jordan: That’s right. If you go to battletechgame.com, you can find the Backerkit link. We can’t do any more physical tiers because they’re already shipping, but we could open up the digital tiers. So we’ve opened up the $25 game tier, the $35 game+soundtrack+art tier, and the $50 beta-access+novellas tier. The good thing is, if this game sells well enough, then it gives us the opportunity to add other features that people have been asking for like co-op, multiplayer with 2×2 teams, and start moving through the universe timeline. One of the encouraging things we’re seeing here at the show is it’s not just existing table-top BattleTech fans, or MechCommander fans. 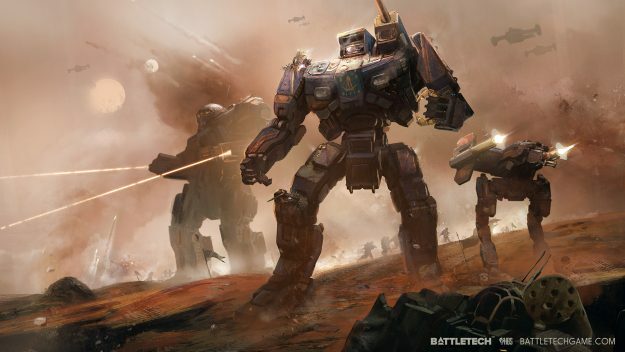 We’re seeing a bunch of people who have not played and are not familiar with the BattleTech franchise but this is the kind of game that excites them, and they’re picking it up. So hopefully that’s true, and it’ll give us a broader audience that allows us to bring more people into the BattleTech franchise, and creates the opportunity to make more cool stuff. Nic: Last question: Customization or modding of the game? Will that be possible? Jordan: We don’t have any current plans for level-building or modding to be player-based. It takes a lot of support to be able to design those systems, and a big development effort, and for this game we that’s not where we should put the money. As opposed to Shadowrun where we thought telling more stories made sense. Nic: Makes sense. That’s all I have! Thanks for taking the opportunity to talk with us. This entry was posted in Interviews, News, Video Games and tagged HBS on 2016/08/09 by Nic. They need to remain open to the idea of eliminating this current gentleman’s warfare system. I’m not sure who the test group was that gave them this idea that simultaneous fire would be overwhelming, but they certainly haven’t asked the right questions to the right people. Having played the clix game, just watching 40k videos, seeing gentleman’s warfare video games, I KNOW that gentleman’s warfare is not fun. A key reason Battletech has survived for decades is because of the rules system. Everything gets to fire, every turn it is alive. The Atlas dying in this video is a key reason gentleman’s warfare DOES NOT WORK. In personal experience just testing out 40k I could not stand that I would lose half a platoon as they just stood there, then could barely fire with anything back. That’s why I never got into it. This initiative system will cause numerous, disastrous exploits. Off the top of my head, I can clearly see people creating builds made specifically to reserve everything, then run around a corner and kill a mech in one turn after denying the opponent the chance to fire anything. 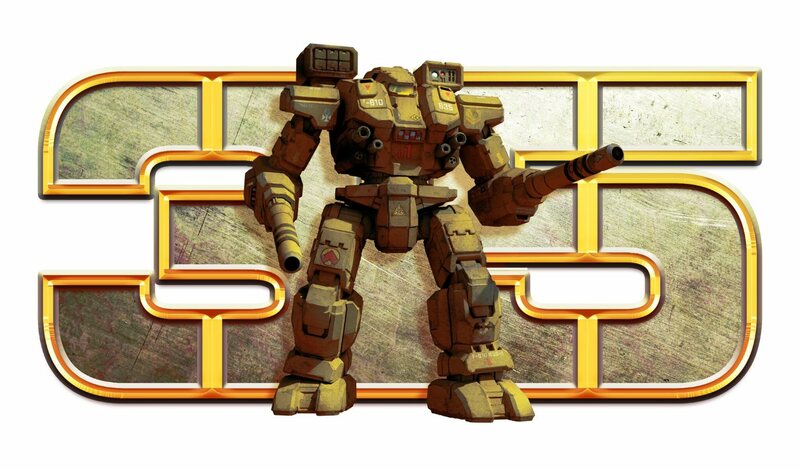 HBS NEEDS to be open to giving up on this system and returning to true Battletech gameplay. Either have the game run like MC2 where mechs can fire at random and can continuously move or keep it like Total Warfare where everything gets a chance to shoot and each person has to move a mech each turn. Did you get a chance to play this at GenCon? I was able to spend some time with it, and didn’t have any concerns. The initiative system was one of the things they first started playtesting / prototyping, and I’m sure they’ve gotten a lot of feedback about it in the process. Obviously a change like this will affect other parts of the gameplay — and one of the good changes from this is that light/medium ‘Mechs can become more useful. Everyone will have to adjust for it, and this game is _not_ meant to be a direct table-top port. I agree with HBS that the new initiative system works well for a smooth and non-frustrating interactive PC experience. I wouldn’t discount the system without trying it. I’m confident it’s going to be a great, playable game (both online & multiplayer). I did not attend GenCon, so no, I have not had a chance to play it. Although, I have played many RTS games as well as turn based games. I have seen it far too many times where a player has a unit, then it is magically destroyed by either a lucky shot or overwhelming firepower without even getting the chance to use it. This is typically always the case is gentleman’s warfare style games where one unit shoots while another waits. This current system may be able to work against the AI as it is trying to have an actual battle. When it comes to people though, people will find exploits, they always do. I would like to play online, but so many people try to win at all costs vs having a cool game. Based on my experience gaming with similar gameplay systems, they have driven me away from the game. 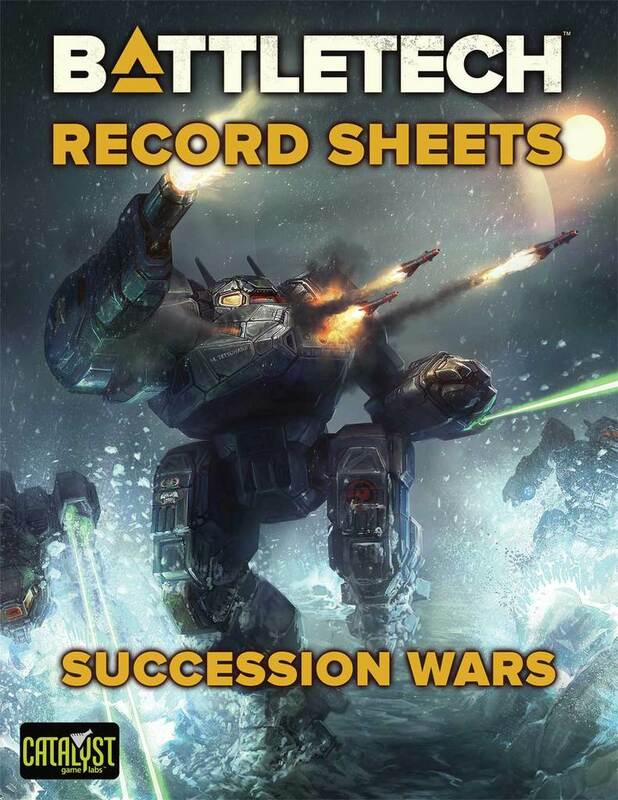 Battletech is awesome because of its current Total Warfare rules. “If it ain’t broke, don’t fix it” is my suggestion to HBS. As far as “If it ain’t broke, don’t fix it”, unfortunately I don’t think you can apply that to translating a board game to a PC game, unless you’re going for a direct tabletop re-enactment, (i.e. the wonderful MegaMek). If you want a faster, richer, more interactive ‘Mech and economic simulator with a campaign and story, you’ll need to make tweaks to make it playable. That’s what I’m looking forward to with BATTLETECH. It feels like BattleTech (table-top), in a more approachable package for an interactive game. I guess we’ll all see how well it plays once it ships, huh? I am torn on getting the current buy in to the Beta. I want this game to succeed so badly, but I just cannot see a positive end to this gameplay system, especially in PvP. I would have more than loved an MC2 style of RTS. We will see…. This is a claim that I’ve often seen, but I have never seen it substantiated – and as it’s posed normally (and here), it’s a non-sequiter, meaning it has no force. JW raised some legit points here and in the combat order discussion, mainly that information overload has to be addressed – and it can be, *without* changing the combat order in a way that puts the devs and normal players at a ridiculous disadvantage to munchkins. Instead of just disagreeing, here’s a positive statement of what could (and in my convictions, SHOULD) have been done – or at least tested: https://community.battletechgame.com/forums/threads/2565 … mind you, no evading the information overload problem, etc. As I said, JW did raise some legit points. Hopefully this can be adapted to include 3050 and beyond with updated DLC expansions, since Mechwarrior Online has been disappointing.